Another yellow flower that seems to appear as the last of the dandelions are going to seed: Colts Foot, also known as Tussilgo. Again, I don’t have a photo of a honey bees on them (yet), but I’ve seen honey bees on them enough times to know I can add them to my Newfoundland Honey Bee Forage List. By the way, I see Colts Foot well into the fall. It’s possible I’ve confused something else for Colts Foot. This entry was posted in Colts Foot, Flowers, Month of July and tagged Newfoundland Honey Bee Forage. Bookmark the permalink. 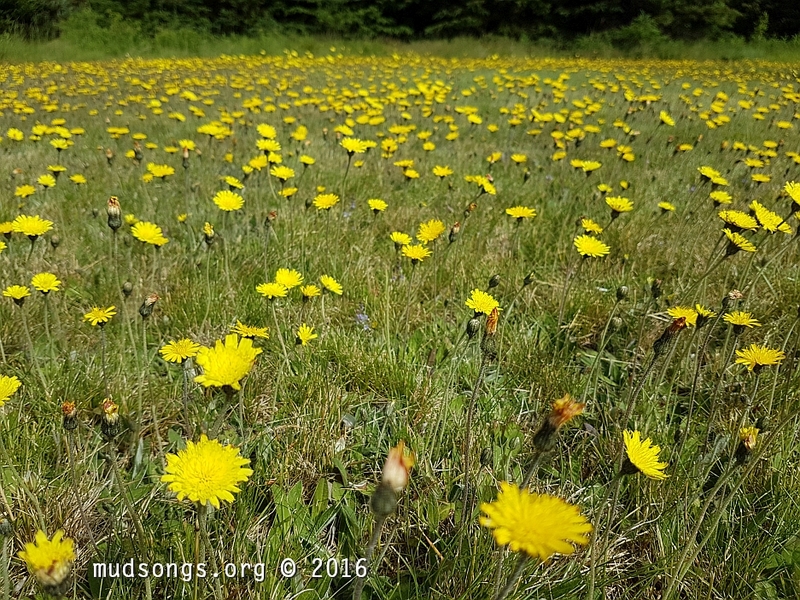 It looks quite hard to tell the difference between colts foot and dandelions. The stem of a dandelion is hollow. The colts foot stem is thin. I didn’t even know what Colts Foot was until I got into beekeeping.